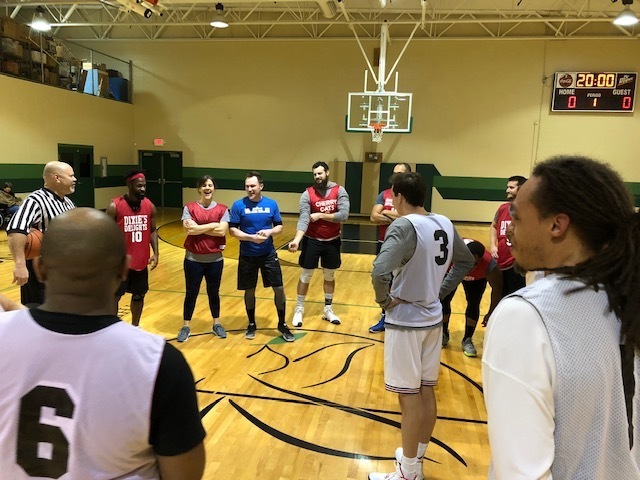 Four teams came together for a game of hoops on Friday, January 18 to build employee morale and raise funds for The Arc Gives Employee Campaign. The Semi-Pro themed game was heated with intense competition. The event played out inside the Pythian building’s gym, where teams made of direct support staff went head to head with management staff. This was the second year the event was held by The Arc Gives employee campaign. Next year, the committee is looking at a tournament style basketball game. Tickets were sold for $5 and attendees were invited to purchase concessions from the Aktion Club. During half-time, the audience was entertained by a dance put together by our Education and Recreation Department. Overall, the employee campaign raised just under $31,000 to be split between ISL Start -Up Fund and our Education and Recreation department. In the end, the Direct Support Team once again defeated the Management team in a score of 69-68.